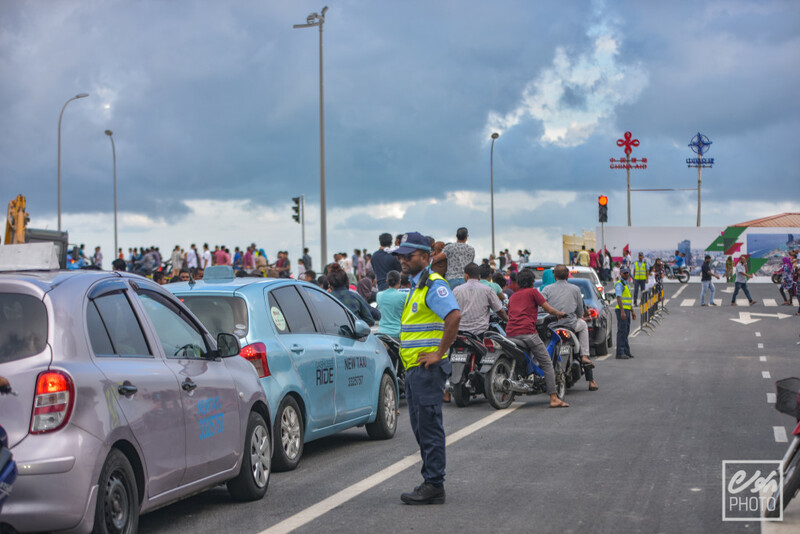 Police have vowed to step up traffic control measures on the newly opened Sinamale Bridge linking the capital Male to the reclaimed suburb Hulhumale via the airport island Hulhule after a spate of accidents especially on the highway. Since the bridge was opened on Friday there have been reports of multiple accidents especially on the highway which links to the bridge to the reclaimed suburb. Police Traffic Department chief Ahmed Sami said the police have now established three check-posts along the highway which are manned round the clock. However, people are still violating traffic regulation and Sami said the police would screen vehicles and drivers to ensure the safety of all motorists. Sami said the police would also ensure that all vehicles crossing bridge meet the required regulations while officers would stamp out speeding and reckless driving.